You are here: Home / Legislature / Missouri Senate gives initial approval to state law against illegal reentry into U.S.
Missouri Senate gives initial approval to state law against illegal reentry into U.S. Preliminary approval has been given by the state Senate to a proposal that would charge those entering Missouri without legal immigration status with a Class “C” felony if they are accused of any other felony or assault. That would carry a 1 to 7 year prison sentence. 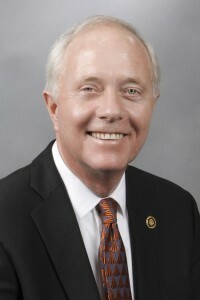 Senator Mike Cunningham (R-Rogersville) says the federal government isn’t doing its job in immigration enforcement. Senator Jill Schupp (D- Creve Coeur) says immigration issues are up to the federal government, not the state. “This bill, whether the intentions are good or not, whether we are trying to prevent crimes from people who would enter this country undocumented, is not within our purview and is therefore unconstitutional,” said Schupp. Senator Joe Keaveny (D-St. Louis) voiced the same sentiment. Cunningham disagrees with those arguments. “I don’t know what the courts are going to rule on it. I did submit it to three different immigration lawyers. Their opinion is that it’s constitutional and it doesn’t change federal law,” said Cunningham. One more favorable vote would send the measure to the House.